Our employees are our best ambassadors. We take pride in our workforce comprising more than 2100 creative and talented professionals globally. Marlabs has been recognized as one of the best places to work in New Jersey in 2013 by the New Jersey business journal, NJBIZ. Here’s what our employees have to say! "During my 3 years at Marlabs, I never cease to be impressed by the number of custom solutions Marlabs has delivered to solve our client’s key business challenges." ﻿﻿"I have been with Marlabs for more than 11 years and I really appreciate the support and guidance from my managers. I have a great team and together we have implemented many challenging and complex projects successfully. 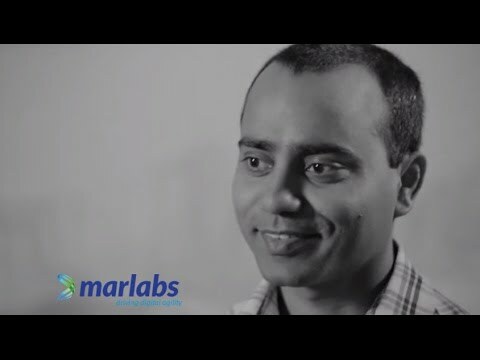 "Working at Marlabs has been an enriching experience for me. The people are terrific, the enthusiasm is contagious, and we have some exciting projects. We have really awesome clients who have been loyal to us over the years." ﻿﻿﻿"It’s really a pleasure to be a part of Marlabs. I have amazing colleagues who inspire me every day! ﻿“I like the richness of culture at Marlabs and our employee profile reflects the this perspective.